If you are not smiling because you are embarrassed of your teeth or unhappy with your smile, why not change it? In most cases, we can finish your transformation in two to three appointments, and your life and confidence are changed forever. CASE #1: Our most recent cosmetic case. Below is her before picture. 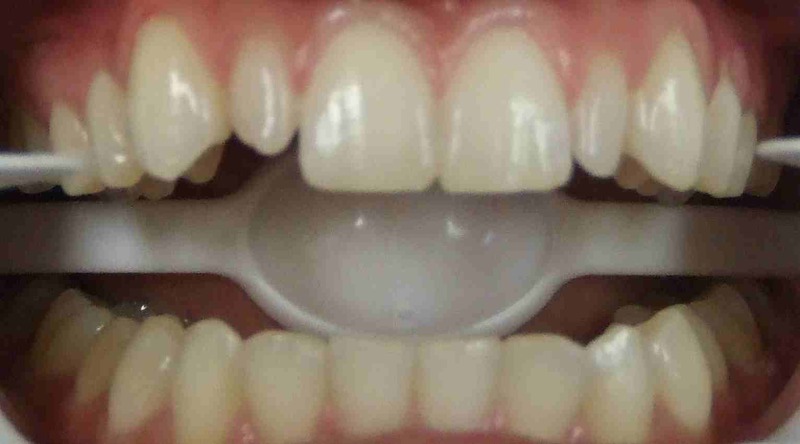 She was unhappy with the darkened central incisor and the general crowding and staining. Scroll down the see her beautiful 'after'. CASE 1 continued: Here are the patient's after pictures: The picture on the left is on her wedding day. Look at that big smile!!! The picture on th eright was taken in our office just after we had cemented her crowns on the two middle teeth and finished her chairside veneers on the other four front teeth. She was VERY happy! CASE #2: This patient was unhappy with her lateral incisors. In under an hour and with NO SHOTS we were able to give her a smile she was proud to show off! CASE #3: On the left is the patient's before picture. She was unhappy with her front two teeth (because one stuck out and crossed over the other) and also the general staining across the front teeth. She was told by many dentists that the only way to straighten her teeth was with extractions and two years of braces. 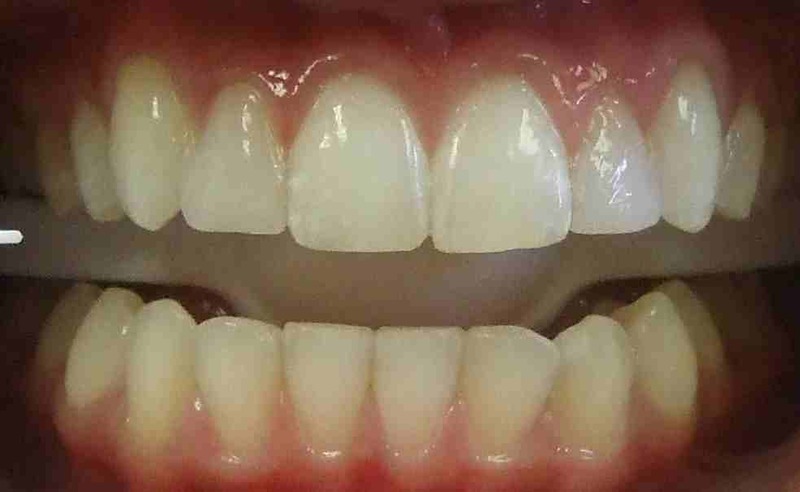 We used crowns on her two central incisors and porcelain veneers on the other four front teeth. NO EXTRACTIONS, NO BRACES! BEAUTIFUL!!! If you have any questions or want more information about what we can do for you, don't hesitate to give us a call. We can set up a no pressure consultation and give you honest answers about your options. Click here for our contact information.